Satyam said it has signed 15 contracts during last month despite the $1bn accounting fraud scandal that rocked the company and the Indian IT sector. Four of these deals, which include renewals, were in Europe, said the firm. 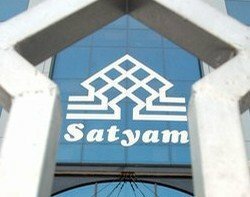 Satyam said it has signed 15 contracts during last month despite the $1bn accounting fraud scandal that rocked the company and the Indian IT sector. Four of these deals, which include renewals, were in Europe, said the firm. The troubled Indian IT service provider has been at the centre of unwanted attention since its former chairman B Ramalinga Raju admitted that he had cooked the company's books for several years. The government has since appointed a board to help the company recover. Key to its objectives was to ensure customer services continue and that confidence is not diminished. US insurance firm State Farm has already severed ties with Satyam. Others such as retailer Tesco, chemicals firm Ciba, and Fifa are monitoring the situation. But US technology firm General Electric (GE), which is the world’s third largest company, is sticking by Satyam. The companies work together in providing global healthcare infrastructures, with Satyam doing software development. According to an industry source, if 15 customer contracts have been signed in January it could be a sign of Satyam stretching to retain market share. “Satyam could be bending over backwards to retain market share. You would have to question whether Satyam is buying continued share” he added. “Or this could be a case of customers profiting from Satyam’s reputation damage through good deals.